Q: My reception space is pretty ho-hum looking. What are some ways to jazz up the room with lighting design? And what are the top trends right now? First, draping. Absolutely drape your room from floor to ceiling. But keep the focus on the walls. Ceiling draping won’t show up in photos, and nobody is on the ceiling – unless it’s a really good party! The type of fabric is really important. Take a thick, yummy fabric with the texture of a tablecloth and add a layer of chiffon. Colored chiffons, like a blush or silver, are really hot right now. Different lengths of colored chiffon or lace give a pop of texture and color. Add lighting to the mix and the room will just move. With draping, you can make the walls presentable, and with lighting you can enhance that and take their eyes off the rest of the room. One popular choice is to shine a monogram on the walls or ceiling. You can also spotlight the tables. Say you want to focus on the cake cutting or the toasts, you can put a spotlight on those tables to draw attention to it and so everyone can see. You can also tie in the wedding colors with the lighting or candles on the tables and other special touches. 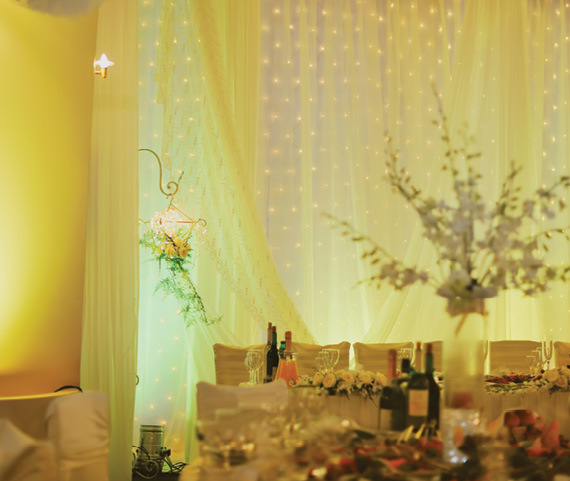 In short, if you find a versatile company who can provide lighting, draping or even candlelight, it won’t matter if you’re in a cardboard box – you won’t even know. It really turns an eyesore into a “wow.” You’ll suddenly be in a magical place. 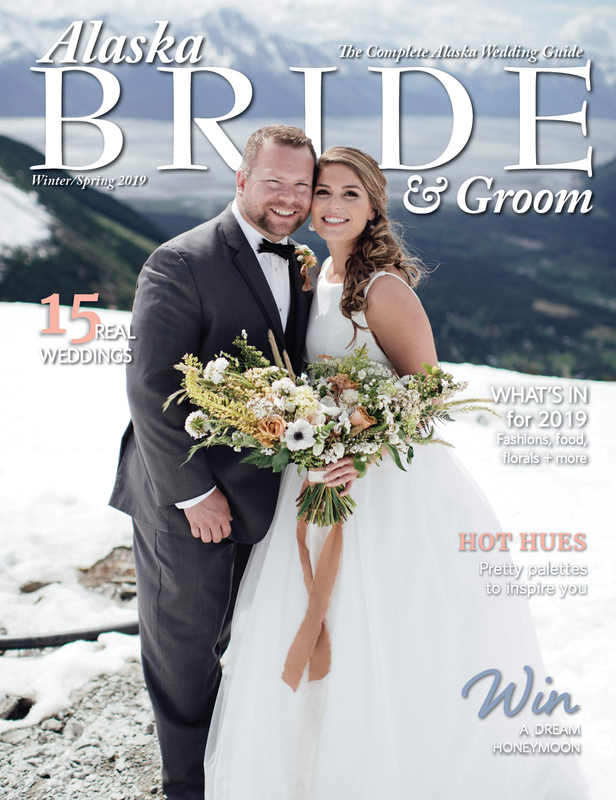 Evelyn Sizemore is owner of R&R Productions Professional DJ Entertainment - Event Lighting & Photography, an Alaskan-owned family business, serving Alaska since 1982. Visit akrrproductions.com.